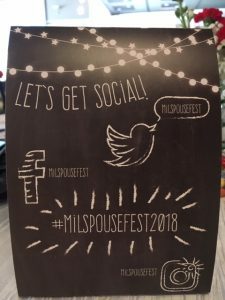 What exactly is MilSpouse Fest? 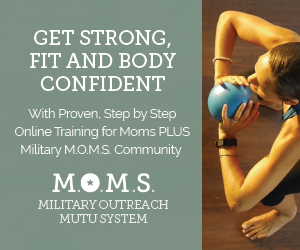 It was founded by Jen Pilcher as MilitaryOneClick, which is an online resource center to find information all in one place to help you with military life. 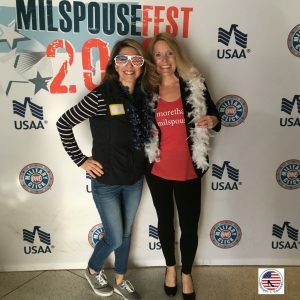 Then, MilSpouse Fest was an extension of the online resource to provide a day of celebrating, learning, resource sharing, connecting, and winning prizes with other military spouses. 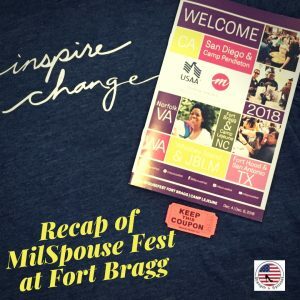 MilSpouse Fest travels to military installations around the United States to bring an interactive day to military spouses that is all about them. On December 4th, this amazing organization made its way to Fort Bragg. You were greeted at the door by smiling volunteers handing out the 2018 t-shirt to all attendees along with a swag bag full of goodies from sponsors. Then, you made your way through vendor tables with local and national businesses, nonprofits, and other resources that cater to military families. Next up was finding a seat at the signature “round” tables that are always present at each MilSpouse Fest. This is because this event is for collaborating and connecting. What better way to do that than by sitting at a ten + seated table? While there were many notable moments at MilSpouse Fest, here are a few of my favorites. Judy Davis, aka The Direction Diva, spoke about Inspiring Change to Ignite Yourself. She explained that we need to view “handling change as a process and not as a moment happening right then.” This is extremely vital to military spouses as we feel like we are constantly in a state of change and in survival mode. She also gave another golden nugget of wisdom about creating a positive mindset by “thinking about positive things the last five minutes of your day, before you go to bed.” This can be life changing and maybe even help you sleep better at night. 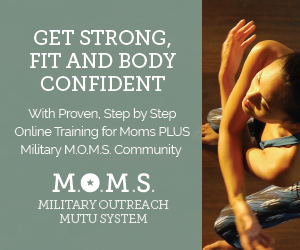 Angela Salyer, from The Comfort Crew for Military Kids, explained how to help military children cope with deployments, moves, and everything military life throws at them. She explained that children should have “5 people they can talk to.” Helping them create that list will give them the comfort to know that there are many people available to talk with them in their family and friend network. There were games, games, and more games. From MilSpouse Bingo from The College Board to USAA’s Financial Feud and more, games were a big highlight of the day. Who doesn’t love to win and have fun while doing it? Each game taught military spouses about financial readiness and the positives of military life. Making connections with other military spouses was priceless. There were so many intentional activities and that forced us to connect and share with one another. The tables were round and allowed for many people to sit at one table and activities allowed us time to share with one another valuable experiences and advice. Lastly, throughout the entire event were raffle drawings for prizes donated by sponsors and local military spouse-owned businesses. Let’s be honest, we all feel so special when we win something, and MilSpouse Fest provides so many special gifts of appreciation for military spouses. 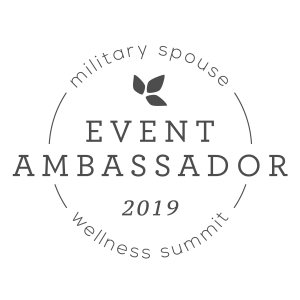 MilSpouse Fest is not only a great event to attend with a few of your military spouse friends, it’s also a great way to connect and meet new members to add to your tribe. It’s a super fun day packed with tons of positive energy! This beautiful organization gives military spouses an all expenses paid day of fun, learning, food, connecting, and prize-winning. Many sponsors, volunteers, and donations keep this amazing event going. Click here to find out how you can contribute to next year’s MilSpouse Fest tour.